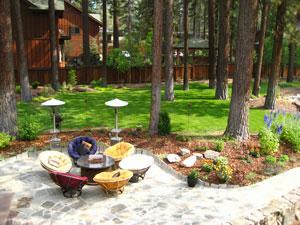 Features: The Deerfield Lodge at Heavenly Tahoe is one of the best boutique hotel in Tahoe. This quaint green hotel caters to both quiet getaways and family vacations. 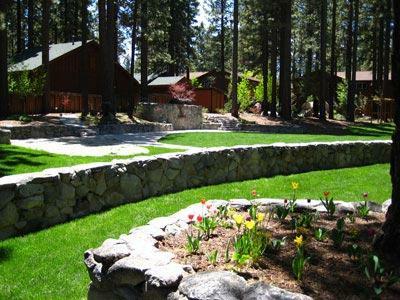 The beautiful Deerfield Lodge Lake Tahoe offers luxurious 750 square foot suites that make you feel right at home, and its location in South Lake Tahoe puts it right in the heart of all the fun things to do in Tahoe. Why We Stay: The quiet location and small number of suites at the Deerfield Lodge at Heavenly South Lake Tahoe make for a more intimate and personal experience as well as a very relaxing vacation. 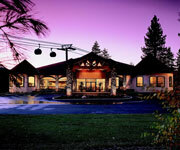 Nearby Activities: The Deerfied Lodge Lake Tahoe is near many top Tahoe attractions and fun things to do. 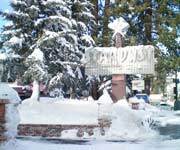 So when you stay at the Deerfield Lodge at Heavenly Tahoe, be sure you check out the nearby golfing and skiing at Heavenly Resort. 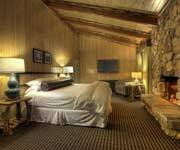 Luxury Suites: Each of the twelve suites at the Deerfield Lodge at Heavenly Tahoe provide 750 square feet of boutique luxury and comfort. 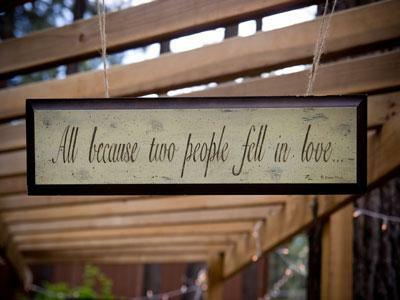 With fireplaces both in the bedroom and the living room, you will surely stay warm and comfortable. Also, each room has a jacuzzi tub for relaxing after a long day on the slopes. 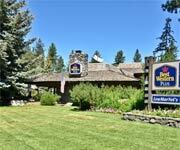 Special Discounts & Packages: The Deerfield Lodge Lake Tahoe offers tremendous vacation packages and special discounts to help you save on your trip to Lake Tahoe. We all know that lift tickets can be pricey, so check their website to see what promotions and packages are currently being offered. 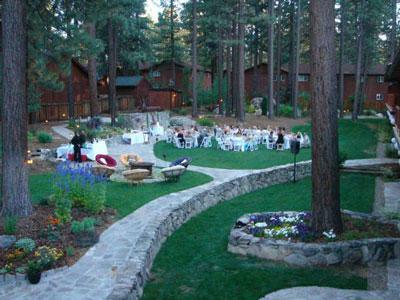 Inside Knowledge: The Deerfield Lodge at Heavenly Tahoe is popular for its personalized wedding services and even offers unique and intimate Elopement Packages. 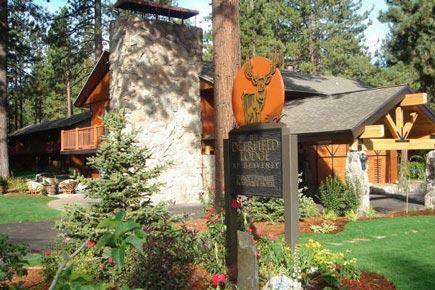 Do Bring Your Pets: The Deerfield Lodge at Heavenly Tahoe is a pet friendly hotel, and the Deerfield Lodge Lake Tahoe absolutely loves when you bring your furry friends with you because all of their pet fees are donated to the Lake Tahoe Humane Society. Do Check Out The Happy Hour: From 4-5pm daily, the Deerfield Lodge Lake Tahoe offers a fun little happy hour in the lobby consisting of various wines, cheese, crackers and fresh seasonal fruit. 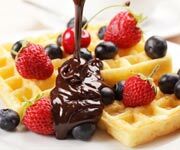 Don't Forget Breakfast: Guests at the Deerfield Lodge at Heavenly Tahoe are invited to indulge in a complimentary breakfast every morning, so make sure you get in that necessary energy before each big day at the mile high lake. 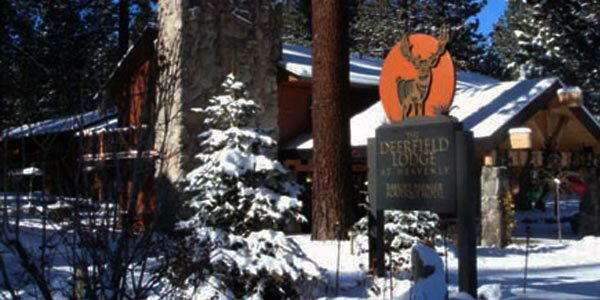 Don't Leave Out The Concierge: The friendly concierge at the Deerfield Lodge at Heavenly Tahoe will help you plan your entire vacation by arranging both summer and winter activities for you. This is one of the hidden gems of South Lake Tahoe. It’s a small, quaint boutique hotel. There’s just 12 rooms here, but to me that adds to the cozier ambiance of staying in Tahoe. 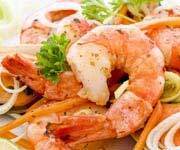 The staff is very friendly, the rooms are extremely clean, and everything in the hotel smelled like it was brand new. When you check in you are greeted with a breakfast basket with fruit, coffees, teas and other goodies. One of the best things is that the rooms here are very spacious. They come with fireplaces, nice beds, modern decor, outdoor patios and the suites have two bathrooms, which is really convenient if you’re traveling with a group. There are even these cute coat hangers made out of skis and snowboards in the rooms, which I thought was adorable. This hotel is right by the California Base Lift, which makes it so easy in the winter to get up and down Heavenly. The gondola is usually very crowded with long lines, but you can typically get right on this lift. The hotel is only a mile or two from all the casinos, but it’s far away enough that it’s still peaceful and quiet. 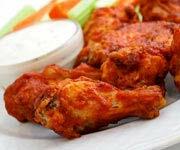 There are also some great restaurants near the Deerfield Lodge that you can walk to which is really nice. This is a really cool place and I do have to say it’s a whole lot nicer then it even looks in the pictures. I’d highly recommend it if you can afford it. This beautifully furnished suite has a bedroom boasting two queen beds with premium bedding and a family room, each with a fireplace. The granite and slate bathroom has an overhead rain forest shower and an aromatherapy jacuzzi tub. The in-suite coffee bar comes equipped with a spacious mini fridge and microwave. Enjoy wireless Internet as well as cable television and a DVD player. 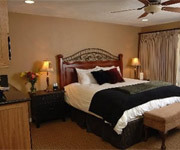 This large suite has one bedroom containing a king bed with premium bedding and a family room. The granite and slate bathroom has an overhead rain forest shower and an aromatherapy jacuzzi tub. Each room has a fireplace and the living room has a convenient coffee bar that comes with a spacious refrigerator and microwave. There is also a television with cable and a DVD player as well as wireless Internet. 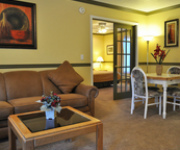 This beautifully furnished room is a single room boasting one king bed with premium bedding and a comforting fireplace. Enjoy an overhead rain forest shower and an aromatherapy jacuzzi tub. Near the entrance to the studio is a coffee bar with a mini fridge and microwave. Watch your favorite movies on the DVD player or channel surf through a variety of cable channels.